Steve Acord retired in 2016 as a Financial Planner and has left a great 41 year legacy to our people, practice and clients. 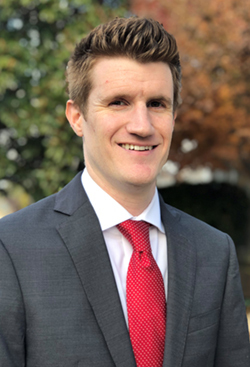 Although, he is no longer a practicing Financial Planner or meeting with clients, he does come into the Fairfield Office on occasion and support the administrative staff. Steve is keeping busy in retirement as an involved member of his community. He serves on the elder board at his church and participates in a weekly bible study group. Steve enjoys golf, reading, and spending time with his wife and grandchildren. Steve and his wife Sandi live in Fairfield. Rod Acord has been with Lincoln Financial Advisors since 1995 and has extensive experience helping clients make educated decisions regarding their finances. By addressing the growth, preservation, and distribution of their wealth, he sets his focus on helping to give his clients confidence in their financial future. By first working to understand his clients, Rod is able to better analyze their current situation. This allows him to assist in establishing written goals and then develop creative design ideas to help address their objectives. He does this by taking into account both economic as well as emotional concerns. “My financial planning process is designed to help my clients organize and prioritize their financial matters and gain a better understanding of their options. This process allows them to make informed decisions about their future.” The key to his process is the commitment Rod and his team make to his clients to take the necessary steps to help achieve their written goals. Rod holds a Bachelor of Science Degree in Business Administration from California State University, Long Beach. He has also earned the professional designations, Chartered Financial Consultant (ChFC®), Chartered Life Underwriter (CLU®), Chartered Advisor for Senior Living (CASL®) from The American College and Chartered Retirement Planning Consultant (CRPC®) from the College of Financial Planning. Rod has been a board member for the Silicon Valley Chapter of The Society of Financial Service Professionals since 2001, serving as President for 2010/2011. He is also active with the Financial Planning Association, NAIFA, and Wardrobe for Opportunity. In his free time he enjoys activities outside and CrossFit. Rod resides in Morgan Hill with his wife, Andrea and daughters, Ava and Siena. Martin Fong has been a Registered Representative and Investment Advisor Representative of Lincoln Financial Advisors Corp. since 1995. His focus and expertise lies in guiding executives, hospital professionals and all retirees, who seek his advice, through the ever changing maze of retirement planning, estate planning and investment decisions. Each client has their own unique financial needs. Martin is devoted to fully understanding his or her current financial situation, considering how the future will affect that situation, and focusing on designating objectives to meet each client’s needs and goals. Martin is committed to making certain that good information, sound advice and a choice of solutions are provided. This process allows a client and their family to make informed decisions and reach the solutions that are best for their unique needs. Once deciding upon a financial direction, Martin often works with the client’s attorney and accountant in order to get a plan implemented. Providing this type of comprehensive planning has helped many clients get from where they were, to where they want to be, financially. 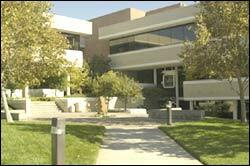 Martin holds a Bachelor of Science degree in Finance from the University of Southern California. He has also earned the professional designations, Chartered Financial Consultant (ChFC®), and Chartered Retirement Planning Consultant (CRPC®). Martin is an active member of the Society of Financial Service Professionals, the Financial Planning Association, and Lincoln’s Chairman’s Council*. He has also attained the respected title of Lifetime Member with Lincoln’s Resource Group**. The Resource Group is an invitation-only, nationwide network of the top 200 planners within Lincoln Financial Advisors. The California Bay Area has been home to Martin all of his life. He grew up in San Leandro, currently resides in Danville, is married, and has 3 children, Taressa, Mason and Lila. Giving back to the community, Martin donates his time and money to Wardrobe for Opportunity, an agency that provides professional clothing to people who are seeking employment and an opportunity to change their lives. He enjoys softball and hockey, playing the piano, and going to the theatre. *This internal award is based on sales as well as good standing with the firm and FINRA. Jordan Murray is a fee-based financial planner who serves as a junior partner at Acord and Fong. Joining Acord and Fong in 2010, his practice focuses on providing his clients a comprehensive approach to help look around life’s corners and protect what is most important to our clients. He delivers objective advice centered on client’s goals, making sure the client’s and their families are protected and well positioned for success. Lou began working in Financial Services in 2006 and since then, his mission is to help good people develop financial objectives and pursue those objectives through a variety of financial solutions and investment services that are designed to meet their present and future needs. 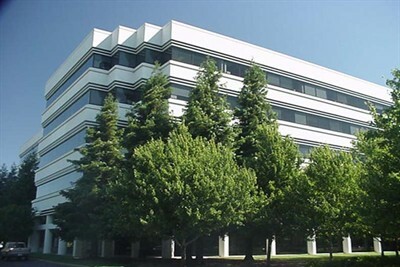 Gibran is a paraplanner in the San Ramon office. He joined the Acord & Fong Team in December of 2017. His responsibilities as a paraplanner include; supporting Martin Fong and Jordan Murray, researching investments, and assisting in the implementation of strategies. In his free time, he enjoys working out, reading, and eating. Steven joined the Acord & Fong team in 2018. He previously worked at Edward Jones but had the desire to take his financial planning to the next level. As the main point of contact in our Fresno office, Steven will be handling all paperwork, phone calls, analytics and meetings to assist in understanding your financial goals and questions. At a young age, Steven found his interest in investing and at 17 years old he had won a stock market investing competition in his AP Economics class which led him to get his BS degree in Finance at Brigham Young University in Hawaii. In his spare time he enjoys surfing, playing music and humanitarian projects. 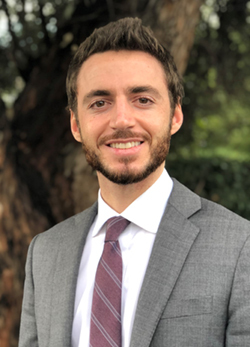 Daniel joined the Acord & Fong Team in January of 2019. Having grown up alongside a 31-year financial adviser, Daniel had a profound interest in pursuing a similar path in helping provide quality service to his team and clients he serves. As a paraplanner, his main priorities are handling investment analytics and participant engagement. 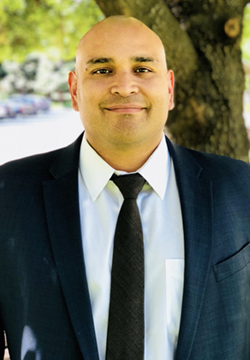 Daniel is a graduate of Fresno Pacific University, where he received a Bachelor’s degree in Business Administration with an Emphasis on Marketing. In his spare time, he enjoys being with his family and friends, playing tennis, and being outdoors. Barbara’s primary areas of responsibility include: organizing client meeting follow up, coordinating client seminars and events, managing the Fairfield office and processes and providing client service support. Barbara holds a MBA degree from National University as well as a BSA degree in Management Information Systems from The University of Michigan-Dearborn. She loves spending time with her family, including golden retriever named Waylon; she also enjoys doing Pilates and serving at church. Trevor is the Practice Manager in the San Ramon office. His primary role is assisting in the financial planning processes and ongoing client services. He also provides the Fong Team new business support in retirement plans, individual investments and life insurance. 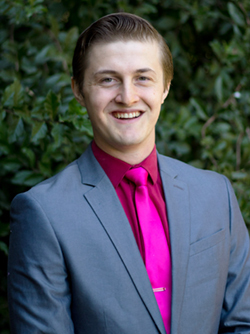 Trevor holds a BS degree in Business Administration from Humboldt State University and a Master’s of Professional Accountancy from the University of California, Davis. Outside the office, Trevor loves playing music, unicycling, and attending baseball games. As the Client Relations Manager for the Acord Team, one of Lea’s roles is providing 5 Star Client Service by keeping clients’ needs at the center of her focus. When a client has a concern or needs help, she is one of the “go-to” team members for getting assistance. Lea also keeps in touch with our clients by coordinating annual reviews with our financial planners. When you need a “check-up appointment” Lea is the one to call. She has been with the Acord Team for over ten years. In her free time, she enjoys travelling and spending time with her family and friends, especially her four grandchildren all under the age of 5. Carolyn is the para planner in the Fairfield office. 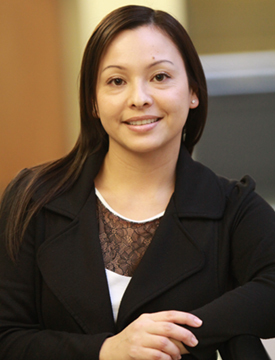 Her primary role is assisting in the financial planning processes and ongoing client services. She also provides the Acord Team new business support in retirement plans, individual investments and life insurance. 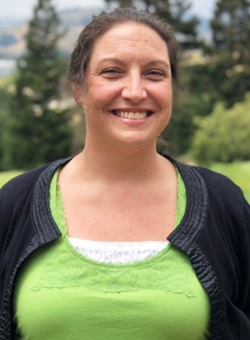 Carolyn holds a BS degree with a concentration in Accounting from Sacramento State University. She also holds her FINRA series 7 license and a CA Life Insurance license. Outside the office, Carolyn loves spending time with her family and friends and serving at her church. Joy is the Planner Assistant for the Fairfield office. She greets our clients with warm hospitality, prepares for client meetings and gives customer service. She graduated from Oklahoma Baptist University with a bachelor’s degree in Elementary Education. Outside the office, Joy enjoys spending time with her husband and three kids, scrapbooking and singing at her church. 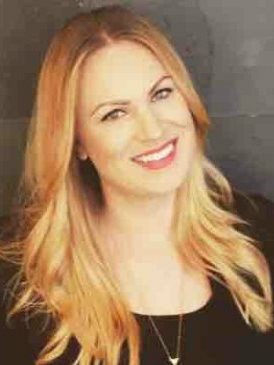 Lelanie is the Business Processor for the San Ramon office. As Business Processor some of her responsibilities include preparing new business paperwork for client meetings, establishing new client investment accounts, and following up to make sure accounts are open and funded. She also processes insurance applications and distribution requests. In her free time, she enjoys working out, hiking, going to new restaurants, and baseball games. Jennifer is the Planner Assistant for the San Ramon office. As the Planner Assistant, some of her responsibilities include scheduling and confirming appointments, preparing letters and documentation, as well as coordinating meetings and workshops. In her free time, she enjoys hiking, running, going to the gym and spending time with her son. As the Client Service Associate, Sheila will assist clients with their distribution needs, filling out forms and meeting preparation. Sheila was born and raised in the Bay Area, loves the diverse and multiple things the area has to offer and try to take advantage of it as much as I can. In her spare time she loves to travel, see live music, watch sports, eat amazing food and spend quality time with friends and family.